Hulse Mike | Legacy Planning Partners, LLC. Mike Hulse began his career in the industry as a Penn Mutual producer in 1979 and later promoted to sales manager. In 1987, he joined Sun Life of Canada as general manager and built an agency to become one of the top 10 in the country. 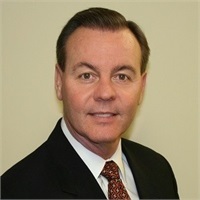 He was also a general manager for AIG Life in Tulsa before he rejoined Penn Mutual in 1999 as managing partner of the Tulsa, Oklahoma agency. Since his return, Mike has been honored with multiple Penn Mutual awards, including the National President’s Award and the Award of Excellence. He has also served as president of the Penn Mutual Agency Association (PMAA). Active in industry organizations, Mr. Hulse has been recognized by the General Agents’ and Managers’ Association (GAMA) with its International Management award at both the Gold, Silver and Bronze levels. He is a past president of his local chapter of GAMA. In addition, he has served as a board member of the Tulsa chapter of The Society of Financial Service Professionals and a member of the National Association of Insurance and Financial Advisors. Mike graduated from Oklahoma State University with a Bachelor of Science degree in marketing. He holds his Chartered Life Underwriter designation and is a registered representative of Hornor, Townsend & Kent, Inc., a subsidiary of Penn Mutual. Mr. Hulse, his wife, Sherrie, live in Tulsa, Oklahoma. They have two children.